Mulch your overgrown paddock to give it a new lease on life. 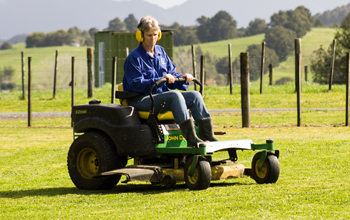 This will allow healthy regrowth of your grass. 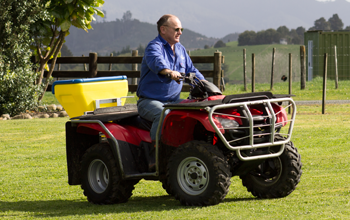 Applying Nitrogen or Urea is a good way to get quick growth of your grass when you most need it. Application rate is approximately 40kgs per hectare. We can provide the Nitrogen/Urea, or you can supply your own. Contact us for our competitive kg pricing. 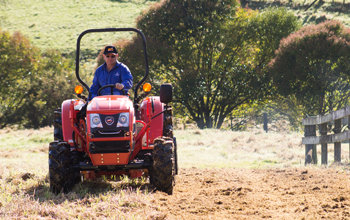 To maintain healthy pasture you need to regularly fertilise to put valuable nutrients back into your land. This will promote good grass growth. 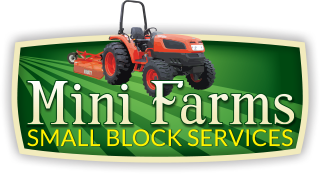 We will mow your lawn, trim the edges and sweep your paths. with good Kiwi values, who do a fantastic job. I would highly recommend them to anyone." "I have known Malcolm and Lois for over 10 years and in that time they have done a number of different jobs to improve my lifestyle block. From mulching paddocks, spraying and fencing through to offering me sound, practical advice. They are true “salt of the earth” people,with good Kiwi values, who do a fantastic job. I would highly recommend them to anyone."